Lots of birds come to visit us here on a daily basis including the red bellied woodpecker and cardinal posted above. My computer is situated in front of a window where I can peruse and hear many different birds. Occasionally a woodpecker will decide to drill on our roof and you would think it was a jackhammer. Amazing that such a small bird has so much power. Recently on one of Anni's supervised walks she upset a cardinal by trying to chase it and it proceeded to follow her from branch to branch chirping very loudly. Later I discovered that it has a nest with babies and was letting Anni know that she is not welcome. 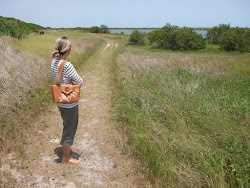 Anni was completely oblivious and quickly got distracted when a little butterfly crossed her path. 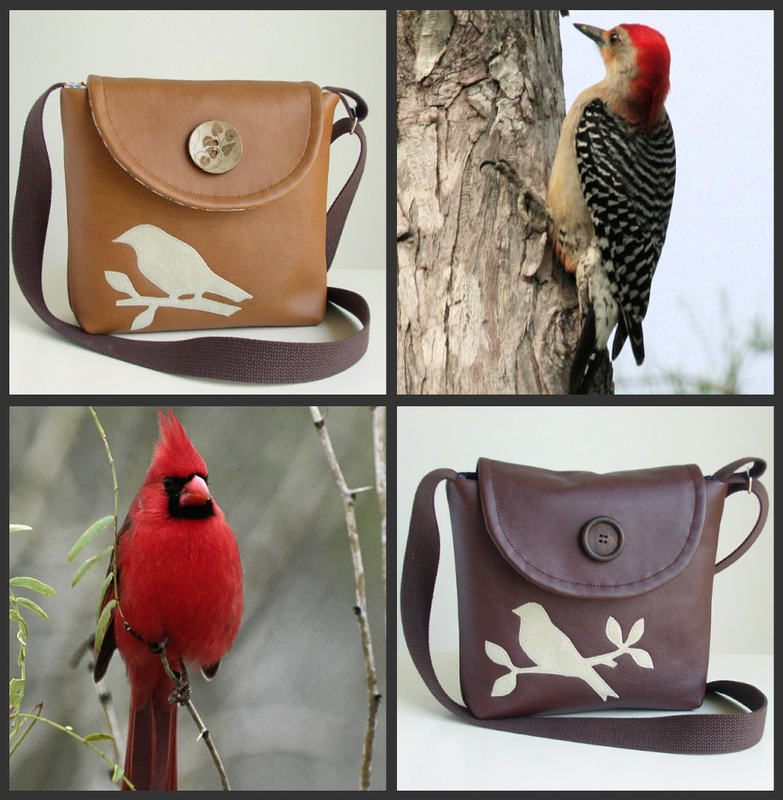 Shop Update: Cross Body Satchels with handmade bird appliques now available in the Pesky Cat Designs shop! Oh I love those birdies! And your bags too :)! Your Anni is a lucky girl!!! Elisa, the bird photos are wonderful! 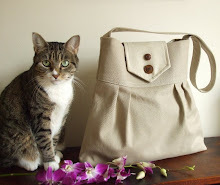 And Anni - I feel I know her more and more, she is such a lovely cat! Pretty bags too of course! Have a nice weekend! Have you thought of designing a woodpecker shaped bird applique? I love all of your birds on branches appliques, they really make your bags stand out! Damjana- I have done specific bird in the past such as blue jays,doves and small parrots. It seems that my more general birds sell better so I tend to use them more often when creating bags. But I can always do a custom order! Damjana- A woodpecker, perhaps pecking away at a tree sounds like a cool idea. I just may try it! Elisa, both the birds and the bags are lovely. I hope you had a lovely weekend. What beautiful birds to see out your window. Your new bags are so pretty.